Need sunglasses in a hurry? All of these sunglasses we have in stock ready for shipping immediately. 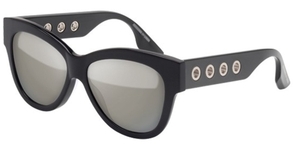 Like these exquisite Just Cavalli JC0045S sunglasses. Most sunglasses on this site we order from our vendors, receive within a day or two, and then ship to you. But if your cannot wait that extra couple of days, browse through our In Stock sunglasses to see if something will work for you. 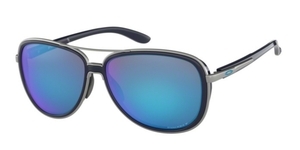 Are you looking for prescription sunglasses? If so, that will take a some extra time. But if you choose an "In stock" pair of sunglasses (they must be "rx-able"), it will shorten your waiting time considerably. Two of the most popular sunglasses models of all times is the Ray Ban Aviator sunglasses model, followed by the Ray Ban Wayfarer. We have a few of these in stock in some basic colors, but most of them need to be ordered which will add a couple of days. The same goes for some of the most popular sunglasses brands including Gucci Sunglasses, Versace sunglasses, Calvin Klein sunglasses, Ray Ban sunglasses.